In this powerful, touching memoir of a critically acclaimed Chinese-American writer, taste becomes the keeper of memory and food the keeper of culture when Nai-nai, her extraordinary grandmother, arrives from mainland China. Leslie Li’s paternal grandfather, Li Zogren, was China’s first democratically elected vice president, to whom Chiang Kai-shek left control of the country when he fled to Formosa in 1949. Nine years later, Li’s wife, Nai-nai, comes to live with her son’s family in New York City, bringing a whole new world of sights, smells, and tastes as she quickly takes control of the kitchen. Nai-nai’s tantalizingly exotic cooking opens up the heart and mind of her American granddaughter to her Chinese heritage—and to the world. Through her grandmother’s traditional cuisine Leslie bridges the cultural divide in an America in which she is a minority—as well as the growing gap at home between her rigid, traditional Chinese father and her progressive American-born mother. Interspersed throughout her intimate and moving memoir are the author’s personal recipes, most from Nai-nai’s kitchen, that add a delicious dimension to the work. 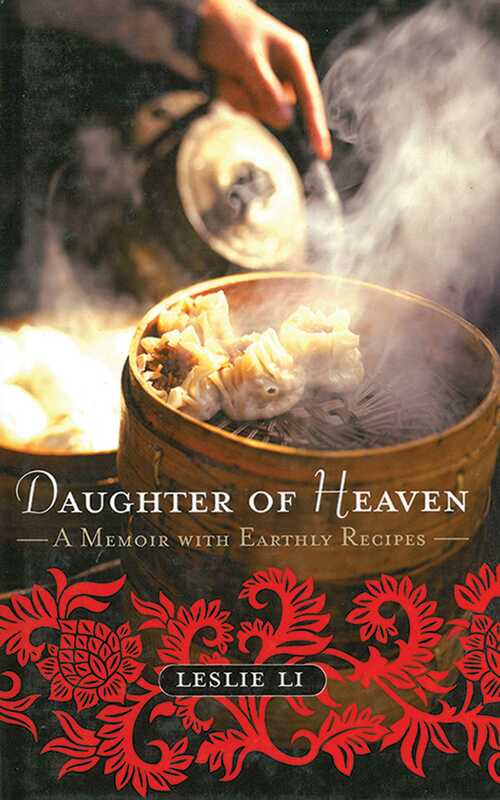 A loving ode to family and food, Daughter of Heaven is an exquisite blend of memory, history, and the senses.